Max Beckmann, Otto Dix, George Grosz, Emil Nolde, E.L. Kirchner, Paul Klee, Franz Marc as well as the Austrians Oskar Kokoschka and Egon Schiele were among the generation of highly individual artists who contributed to the vivid and often controversial new movement in early twentieth-century Germany and Austria: Expressionism. This publication introduces these artists and their work.The author, art historian Ashley Bassie, explains how Expressionist art led the way to a new, intense, evocative treatment of psychological, emotional and social themes in the early twentieth century. 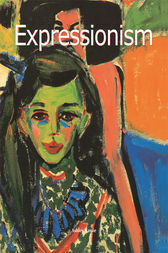 The book examines the developments of Expressionism and its key works, highlighting the often intensely subjective imagery and the aspirations and conflicts from which it emerged while focusing precisely on the artists of the movement.